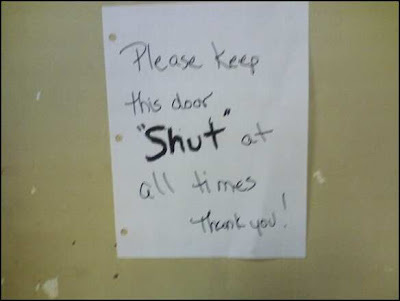 Just tell the manager the door is shut, she gets all up-tight about it and nobody knows why. Thanks, SM. There are only two kinds of people: those who "get" this site, and those who "don't".